It is a new year and what better way to start it then creating your own business. This is the year that you can do something different and maybe pursue your dreams of opening up a business. 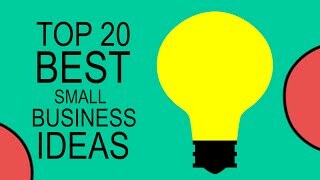 If you are not quite sure what exactly you should do, then stick around and read through this article where we will be revealing some of the smartest business ideas for 2017. This one is a huge opportunity for anyone that is into technology and knows a thing or two about it. With a tech business, you just can’t go wrong because technology is used every day in every part of our lives and people just simply can’t function without it. There was always a huge demand for tech businesses and there will still be in the future because there is never enough tech in the world that can satisfy everyone needs. If you have any experience with technology that can be just an advantage for you. Of course, the highest paid tech jobs are the ones that involve computer programming and designing. But in order to run a business like that, you need a little more experience in the field and you also need to find employees that are qualified for the position. This is also one of the more popular business ideas in 2017. What makes this idea so convenient is that you don’t need a special license to put a price on a home and sell it. This business will never run out of clients because people tend to move a lot. In this business, all you need is a good reputation because without a reputation of being a good real estate agent or service you most likely won’t have many clients. But you have to start somewhere, in the beginning, important thing is to do your research before getting into a sale. Another important thing is the advertisement, without advertisement you can’t succeed in a business like this that is highly competitive. In the end, if you follow these steps you can have a very successful business that will make you a lot of income.